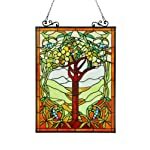 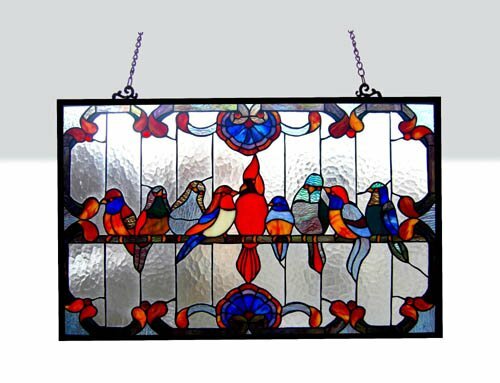 This Tiffany style Family Birds design window panel already came with hooks to hang it are attached to the frame. 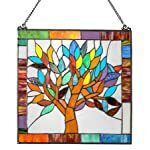 Colors include shades of red, blue, yellow, green and purple. 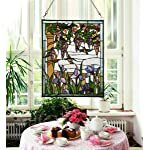 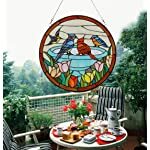 This family birds design window panel is sure to add a splash of color to any room. 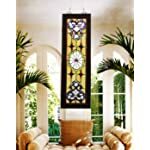 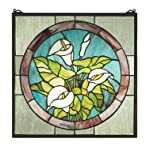 Note: Glass colors will appear darker and less vibrant when not illuminated and for indoor use only.